Description The Rio Fluoroflex Plus Freshwater Tippet is a very high quality, 100% Fluorocarbon leader, special purpose leader material - for times when you want virtual leader invisibility. 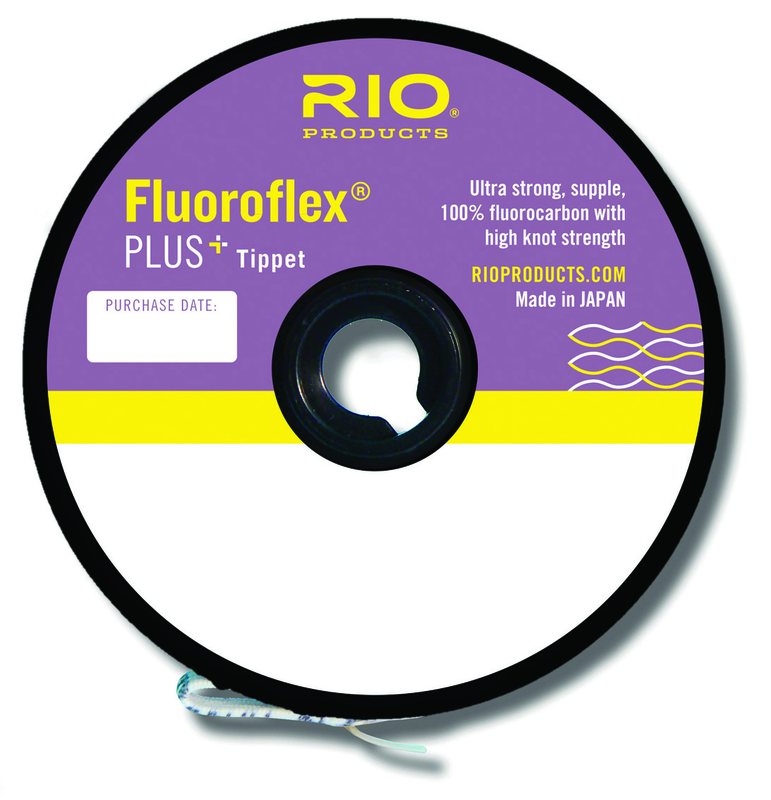 Guide Reviews, Video, and Sales on Rio Fluoroflex Plus Freshwater Tippet Spools � Rio's Fluorocarbon specialty leader for freshwater anglers and guides. This is a Rio tippet reformulated for 2013. This is a very versatile Fluorocarbon monofilament leader material that exhibits moderate stiffness and good knot strength, while being quite strong. Guide Spools: Extra long spool lengths of Fluoroflex Plus are on the menu for the avid angler who wants to save money and packaging, these Guide Spools are a great deal. Fluoroflex Plus Tippet: Available in spools in the astounding range from 7x to 0X. This will cover a wide range of fly fishing situations around the world. Fishing in Saltwater: Go ahead, it will work just fine, this is really an all condition Fluorocarbon leader. 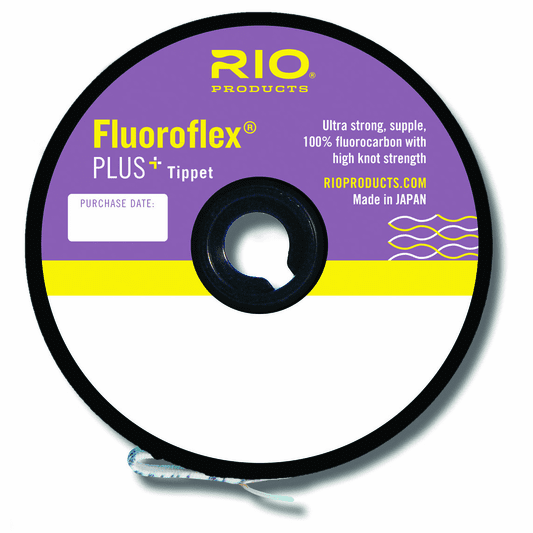 3 Packs: As you will see in the 'options' drop down menu, Rio Fluoroflex Plus Tippet is available in 3 packs. You save about $5 when you purchase the 3 pack instead of 3 individual spools. The 3 packs come in 2 different options: 3X-5X, 4X-6X.